Here you will find a brief summary of the book, an excerpt, and some commentary in the form of answers to questions readers might have. I would very much like to hear your comments about A Perjurer's Tale. You can send them to me, via email, at ralphmemolo@comcast.net. A Perjurer's Tale is available for purchase at http://www.amazon.com. 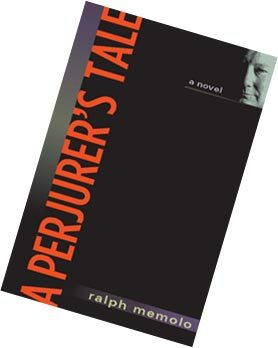 Readers of A Perjurer's Tale may also be interested in reading my short stories, which are available on www.ralphmemolo.com. A Perjurer's Tale is a novel in the form of a memoir. The memoirist is Nathaniel Rowley, a former political reporter and columnist. But Rowley has no interest in producing a memoir in the conventional sense. No, Rowley wants only to recount his association with a young, ambitious politician, Francis Philbrick Donlan. There is a reason behind Rowley's decision to focus his memoir on Donlan. After Rowley's newspaper closed, he decided to write a tell-all memoir that would reveal information damaging to politicians he once covered. Rowley, however, is an accommodating sort—that is, he gives each of these political figures a chance to "buy" their way out of his memoir. Nine of the people Rowley approaches meet his asking price. One, Donlan, spurns his offer. Blackmail brings Rowley and Donlan together (or actually, reunites them), but it all becomes more complicated when they are forced, by circumstances beyond their control, to work in concert on schemes that are essential both to Rowley's survival and Donlan's political ascent. By the time Rowley has finished telling his story, readers are given a vivid account of the skulduggery and everyday wheeling and dealing (not to mention various criminal conspiracies) that are so much a part of the political culture of a city where, as Rowley observes, "being ornery for the sake of being ornery was viewed as a virtue and settling a feud with a well-set booby trap was considered an art form."